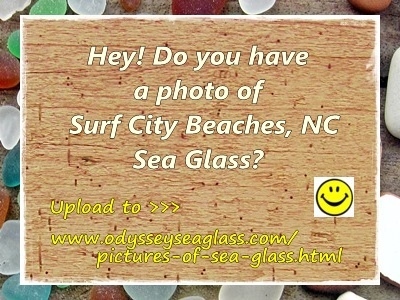 Does Anyone Have Photos of Surf City Sea Glass? 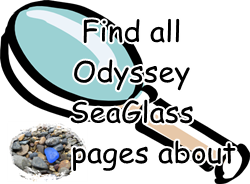 I live here in Surf City, and although it gets harder and harder to find sea glass....there is still plenty. I hunt every low tide that I am off of work. It is truly the best hobby. Wow Mike! You are really dedicated. I moved off the island now but not far away. I still go once a week and I have a particular beach I call "the sea glass beach" but it is summer and with the crowds I usually only find one now. My record is 27 one day. Good luck I will have to try the early morning flashlight thing! I live in Beach Haven and found a beautiful turquoise piece a few days ago. I have found lots of white,brown and green here on the island but this was my first blue. I also found many pieces on the beach at Atlantic city boardwalk. It was after a storm and low tide but wonderful large pieces. Again only white,brown and green though. Anyway happy hunting I was up in Surf City a few days ago and looked a little bit but didn't find any. @ Sal red is a great find so maybe I will try again. I agree Cheryl. Sea glass in Surf City has been harder to find each year but this summer I was lucky to spot a piece of red at low tide, it made my summer!